Yesterday’s post reminded me of berries and the many different kinds we had growing up back home. One of the lesser known, were what we, at least, called magna berries. I’ve mentioned them to others over the years, but I don’t recall most having a different or in fact any name for them. 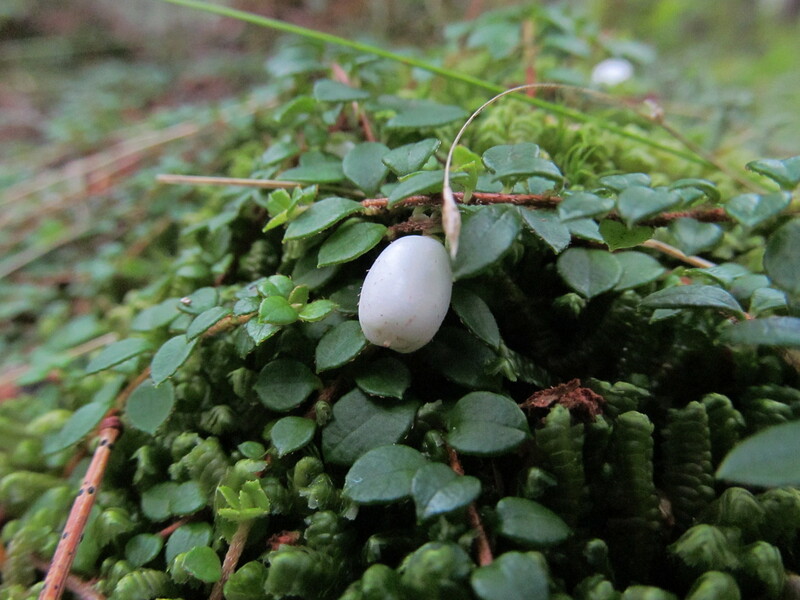 That’s likely because the creeping snowberry as its truly known are not harvested much. And that’s likely because the berries are tiny, so small we often called them ant’s eggs, because they resembled, well ant’s eggs. They also usually were underneath their vines and hard to see at all. There was an old slide path near my house, what we called the school garden path, that joined on to the “old road” forming a fork encircling the old garden. On the slide path, hugging the tops of the bank were many of these vines. They have a distinct wintergreen smell and flavor, and I once tried to pick some hoping to persuade mom to make some jelly or jam from them. But, after what felt like forever, I only had a teacup full, and I gave it up for a bad job. Just too tiny and not abundant enough. That said, it was always a tasty treat when walking out from trouting to try and get a few of these little mints! Haha!!! I know these berries! Last summer we picked enough to make a small jar full of jam…. you’re not missing out much having not had enough to make jam back then because it actually wasn’t that good. They are so much better fresh! Kinda disappointing to know that the jam wasn’t any good! But glad someone tried. And thanks for the info on seeing the name in a book, I’ve not been able to see or find it anywhere, albeit I’ve not tried a ton.